Recently we decided that the time was right to try and find a replacement for our collie/lurcher cross Sixpence, who we lost earlier this year after ten years of companionship as the "perfect dog." 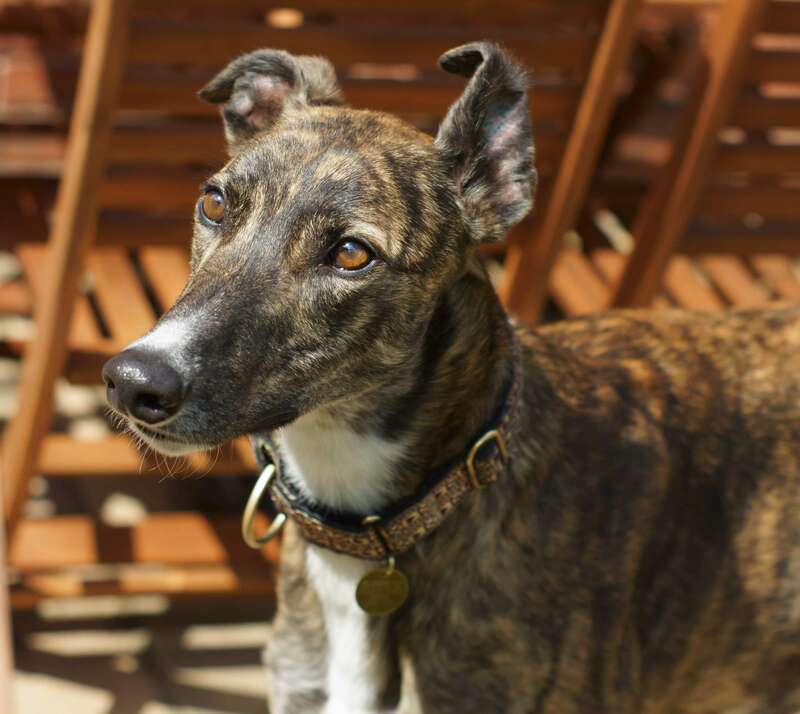 We thought that a rescue greyhound or lurcher would be the answer for us, provided it would be OK living with our cat, and so we contacted Bristol DAWG, who assessed our needs and very quickly matched us up with a couple of possible choices from their kennels in Magor. A quick trip over the bridge with Gerry and her husband Colin, where we were introduced to two lovely dogs, either of which would have been perfect for us, but we chose the large brindle male greyhound called Tigger and, shortly after, took him home for a two week trial. During the trial period we kept him muzzled when he was in the house or garden whenever KatKat was around, just to be on the safe side, but it was obvious that all he was interested in was a quick sniff to say hello, and they are now the best of friends!